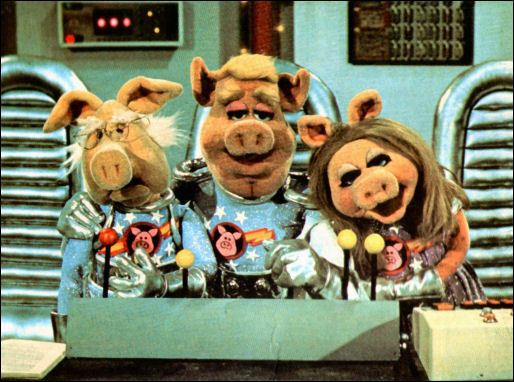 CanadaVet.com Blog: Pigs in Space? 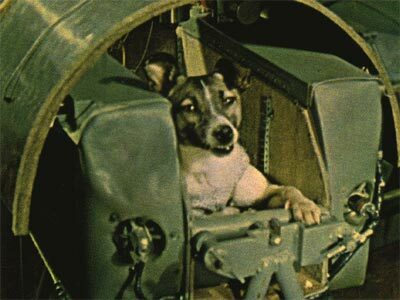 Many of us remember learning about Laika the first dog in space at school, and the mice and monkeys sent in to space during the early years of the space race but did you know that many other creatures have taken to the skies in the name of science? For example, fruit flies were launched into space on a US V2 rocket, in 1947 to explore the effects of radiation exposure at high altitudes. The Russians sent frogs and guinea pigs in to space in 1961 and France sent rats and the USA sent chimps in to space in the same year. Other animals sent in to space include spiders, tortoises, Newts, cats and even crickets, snails, carp, medaka, sea urchins and swordtail fish. 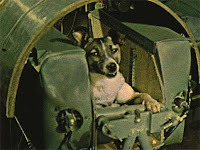 And of course, there are the fictional animals who went in to space. Who can forget the classis "Pigs in Space" scenes from The Muppet Show?